Mental Health Kokua is committed to helping people with mental health and related challenges to achieve optimum recovery and functioning in the community. As a service organization, our greatest asset is our staff members. Our commitment to quality care begins with you. Have you ever wondered if you could make a difference? Coaching people through daily life acitivies. Being a role model for problem solving and daily living skills. Engaging homeless adults to with mental illness to recover their lives. Helping people with the opportunity to begin again. 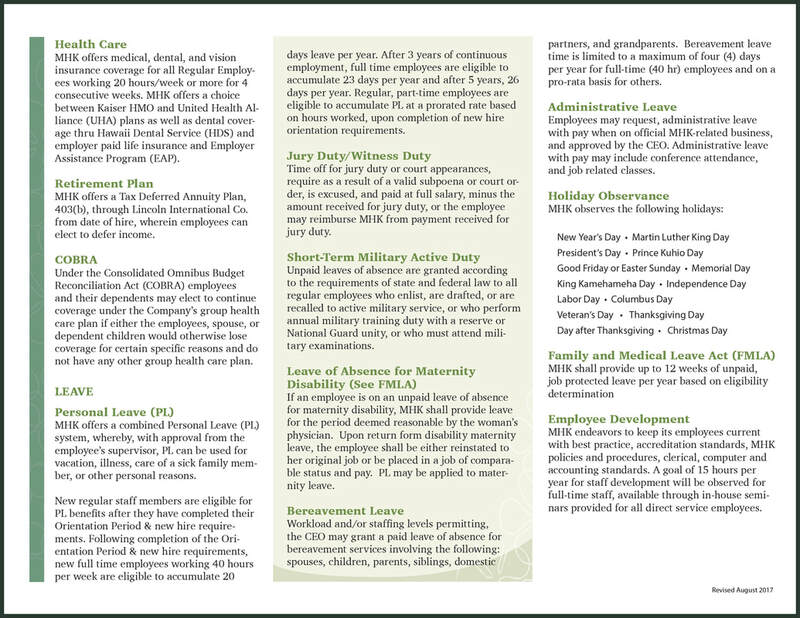 Personal Leave - MHK combines vacation and sick time to be used following the orientation period. 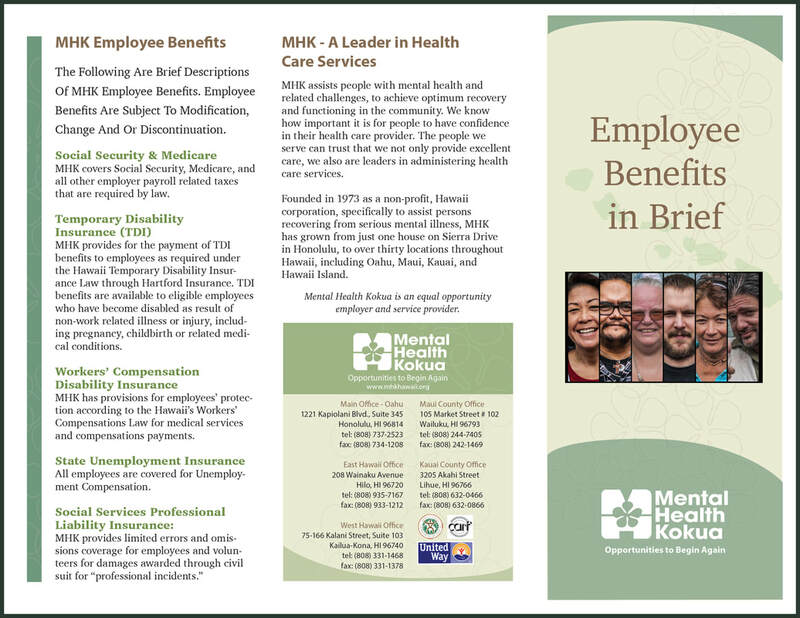 Health Care - MHK offers medical, dental, and vision insurance for all regular employees. Retirement Plan - MHK offer tax deferred annuity plan.